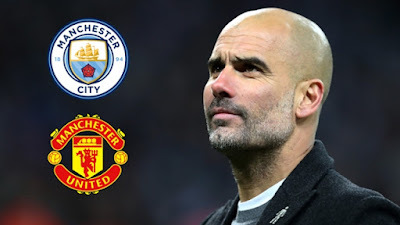 Guardiola is prioritising both legs of the Champions League quarter-finals against Liverpool and is ready to field a weakened team against United in a bid to keep his squad fresh. The Catalan revealed following Saturday’s victory at Goodison Park that all of his decisions over the next 10 days will be made with both games against Liverpool in mind. And that is a message he pressed home during a meeting with his squad at City’s training ground on Sunday morning, stressing to them that they need to be fully focused on the full 180 minutes against the Reds. Sources close to Guardiola have told Goal that he is desperate to reach the Champions League semi-finals this season, and it is believed he told several specific first-team players that they will be rested against United if the European tie is in the balance after Wednesday's first leg. Those sources have suggested that the Catalan's stance is only likely to change if City rack up a comfortable win at Anfield in midweek, but that is not something he has communicated to his players as he is so keen to keep their minds focused on Liverpool. Speaking after the 3-1 win at Everton on Saturday, Guardiola explained his position and prepared supporters for his decisions. “Of course I want to win against United at home but we have three days before we have Liverpool, after we have three days before United and after we have three days before the second leg so few recovery days. Guardiola had earlier insisted that City will have six further opportunities to seal the title if they do not manage to beat United on next Saturday. Sources close to the Catalan have also pointed out that while beating Jose Mourinho’s United is the ideal scenario, winning the title at Wembley against Tottenham on April 14 would also carry great personal significance, given he won the Champions League there as a Barcelona player in 1992 and as a coach in 2011.